Founded in 1932 on the Volga marshes near the city of Kazan, the Kazan Aviation Factory was never threatened by German troops during World War II and was able to boost its output of bombers eightfold by incorporating production facilities from plants evacuated from western Russia. After the war the plant became a giant enterprise at the cutting edge of strategic bomber development. Like many enterprises in Russia’s military-industrial complex, the Kazan Aviation Factory owes its origin and giant stature today to the events of World War II. Before 1941, instead of one large plant, the Soviet Union had two smaller ones located in Kazan and in Moscow at the Gorbunov aircraft factory, founded in 1927 as one of the country’s first aircraft building ventures. The German invasion of 1941 was destined to throw them together and found a new global force in aviation technology. Before the war, the Moscow plant managed to master the production of the unique ANT series aircraft developed under leading Soviet designer Andrei Tupolev. The series included short- and long-haul bombers, fighters and also transport planes, the pilots of which set several world flight length records. The technical base of the combined entity was the Kazan aircraft plant, first built in 1932 and expanded into a top-priority national project. Like many enterprises founded under the first Soviet five-year development plan, the Kazan Aviation Factory grew from nothing on open land on the Volga marshes. Production was established just in time, before the gathering storm clouds of war finally broke. In the years before World War II, Kazan had already started producing bombers and civilian aircraft under licenses bought in the United States. However, its main advantage proved to be its location deep inside the country, impervious to German air strikes. The plant was able to take industrial equipment hastily evacuated from the western regions, which is how the Kazan and Moscow aircraft plants merged to form the modern enterprise. During the war the plant had no time for the detailed development of production since aircraft construction went on almost around the clock and finished planes were dispatched directly to combat squadrons. The combined plants went on to specialize in the production of bombers, spearheaded by project designer Vladimir Petlyakov. The Petlyakov Pe-2 dive bomber and Pe-8 long-range bomber poured out of the Kazan workshops at the rate of 10 a day. In total, the factory delivered 10,000 bombers to the Air Force during the war, reaching its peak of production in 1942, eight times higher than before the war. The experience gained in 1941-1945 was major advantage in the factory’s distribution of state defense orders after the war, when a key requirement was the development of a fundamentally new type of aircraft, the strategic bomber, capable of delivering a nuclear payload. The legendary American B-17 Flying Fortress still had no rivals in the air, and after the Soviet Union developed its own nuclear bomb in 1949 there was an acute need for a carrier. It was during these years that Kazan started to develop production line bombers of the Tupolev family, the modern-day incarnations of the ANTs built by the Gorbunov factory in the 1920s. Fortunately, work on a heavier bomber had already begun. In 1947, after just a year and a half of work, Kazan began producing the Tupolev Tu-4, eventually turning out more than 600 units. It was followed by the Tu-16, which unlike its predecessor had turbojets. The long-distance Tu-22 bomber came close to breaking the sound barrier, an accomplishment that however fell to the later Tu-22M, Tu-22M2 modifications. In the 1980s, the Kazan factory launched production of a fundamentally new long-range bomber, the supersonic Tu-160, known as the White Swan. Discontinued in 2008, it once again has the potential to become the main product of the Kazan factory: In 2015 the decision was taken to develop a new-generation strategic bomber based on the Tu-160. Such a task could only fall to one enterprise, whose products have for decades earned the trust of country’s leaders. From 1956 onward, the entire leadership of the Soviet Union flew on Tu-110 jet airliners built in Kazan. 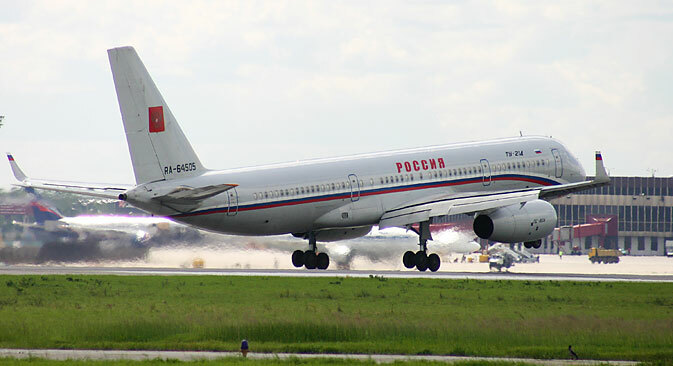 And to this day, the company is also involved in the servicing of government aircraft like the Tu-214 used by Russian President Vladimir Putin.